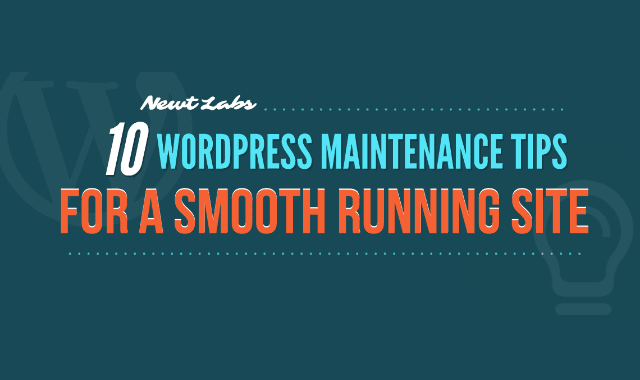 10 WordPress Maintenance Tips For A Smooth Running Site #Infographic ~ Visualistan '+g+"
Glitches and sluggish performance can become noticeable when a WordPress website is not maintained. Though managing WordPress is quite easy, it doesn't mean that it is maintenance-free. Fortunately, you don't have to be an absolute tech-guru to ensure the excellent performance of your website. In this infographic, we will discuss the ten ways to help you clean up and keep your WordPress website running smoothly for maximum user experience and revenue potential.